The Football Front’s Senior Writer, Christian Brown writes a warm piece on the legend, Brain Clough. News that still saddens me to this day. Waking up and watching all the tributes flood in, it’s quite hard to keep a set of dry eyes. I remember being in a car with my dad when we heard the news; he had to stop the car due to how shocked and distraught he was. Fierce rivals united as one, for a day at least. For on this day, the 20th September, 7 years ago a true legend passed away at the age of 69. A footballing genius who took two clubs going nowhere into English and European powerhouses respectively. That man was Brian Clough. Starting his football career off as a player, he played for hometown team Middlesbrough and scored 197 goals in 213 games for them, before switching to Sunderland. 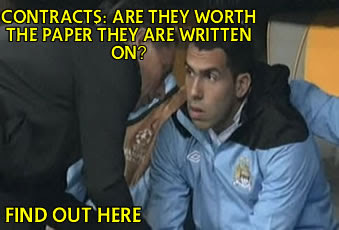 He then got 54 in 61 for them, before injury stopped his playing days at the tender age of 27. He attempted to make a comeback, but lasted 3 games before quitting for good. 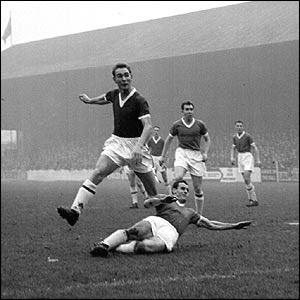 A little known fact it seems, Brian Clough was the first player to score 250 league goals in England – faster than Jimmy Greaves. He also represented his country twice. His managerial career started with Hartlepools United (now Hartlepool), a spell which saw him name Peter Taylor as assistant manager. At 30, Clough was the youngest manager in the league. Clough was there for 2 years, before going to the East Midlands to join Derby County, taking Taylor with him. Before his arrival, the Rams had been out the top flight for 5 years. During his 6 year tenure however, Derby won the league and went to the semi finals of the European Cup, before being cheated by a bought referee against Juventus. However, a fractious relationship with the board – notably with chairman Sam Longson - saw Clough and Taylor both resign in 1973. They may have won the league again in 1975 under Dave Mackay, but Derby fans still regard accepting their resignations as the worst decision the club has ever made. Since that title win, Derby haven’t done anything of note, apart from finish as the worst team in Premier League history with 11 points. They’ve just been sitting in the second division mounting the odd promotion campaign, a far cry from the days in the early 70’s. Next for Clough, was Brighton. Taking Taylor with him, they didn’t set the country alight like they had done at Derby, and within a year Clough had left – to take over Leeds United. 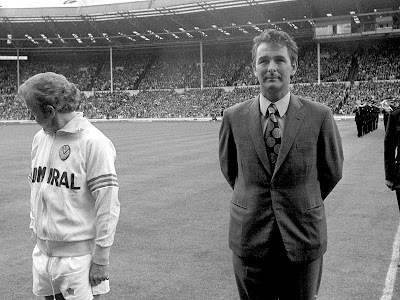 A move which shocked the whole footballing world, as Clough had repeatedly attacked Leeds’ style and then manager Don Revie, whilst Revie himself had told the board to appoint Leeds midfielder Johnny Giles as his successor. Taylor didn’t follow this time, so Clough was on his own. The pairing was a disaster, as it would appear that Clough changed things far too quickly. The right idea was there, that Leeds ‘machine’ was at an end and parts needed to be changed in order for it to carry on. People like Bremner were getting old and needed replacing. There was also the style, which – under the previous management - was robust to say the least. The players didn’t take to him before, so when he turned up and said “you can throw all your medals into a bin cos you’ve won them all by bloody cheating”, they were hardly behind him. It led to the clubs worst start in 15 years, and after 44 days and a massive pay off, Clough was out the door. Then, on the 6th January 1975, Clough found his perfect managerial bride. For the people who say Christmas has two dates, the 25th of December and the 6th of January – what a Christmas present he was for that club. A club who were 13th in Division 2 at the time of the takeover, a club who although had won the FA Cup 16 years prior and finished 2nd in the top league 8 years ago, were seemingly going nowhere and doing nothing. A club left to rot in the second division, much like Derby before he took over. That club, was Derby’s East Midlands rivals, Nottingham Forest. I will be brief. In May 1975, Forest finished the season 16th in the Second Division. 5 years later in May 1980, Forest had just retained the European Cup in Madrid. They had gone from finishing runners up behind Wolves in the Second Division, to winning the European Cup back to back, with a League title along the way. Clough also won the League Cup 4 times with Forest in his 18 year reign (twice with Taylor, twice without), the European Super Cup, a Charity Shield victory, a semi final in the UEFA Cup before being cheated by a bought ref – again, and an FA Cup Final, which they lost 2-1. The FA Cup was the only honour that eluded Clough. 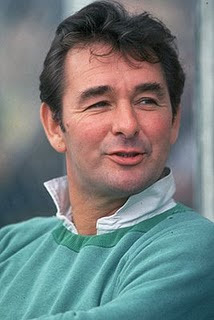 In May 1993, Clough retired following Forest’s relegation from the Premier League. That club will never see success on that scale ever again, as they – like Derby – find themselves plodding along in the Second Division, having found themselves in footballing purgatory (third division) for 3 years. They’ve been out the top flight for 12 years now. Brian Clough retired as the greatest British manager of all time. Say what you like about Ferguson, but without the millions at his disposal, would he have done what Clough did at Forest and Derby? Ferguson hasn’t touched people like Clough did either. The amount Clough gave to charity and other people is phenomenal. His arrogance and brashness have planted many a smile on our faces, and you don’t see Ferguson helping out the common people when they’re on strike. 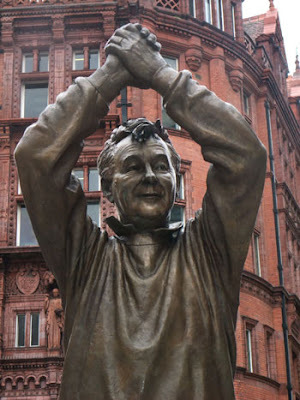 Clough touched the people of Nottingham to the point where they funded the £70,000 statue of him in Nottingham City Centre. It amazes me how Brian was never given the England job. 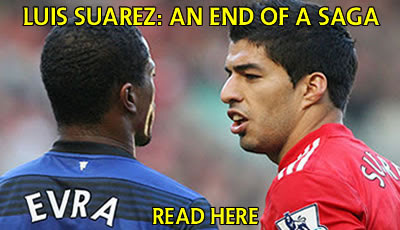 Everyone was calling for it to happen, but The FA – as usual – showed no backbone and appointed Ron Greenwood. Forest then went on to win 2 European Cups. Call it fate, call it a coincidence, call it what you will – 3 days ago (17/11/11) Derby beat Forest at The City Ground to regain The Brian Clough Cup; a cup contested to honour Brian’s achievements. Brian’s son Nigel is currently managing at the first team Brian won success with as a manager. Today, on Brian’s anniversary, Forest host Newcastle United. The same Newcastle that Middlesbrough and Sunderland both hate – the teams Brian played for. If Forest win tonight, you can’t help but think the master manager is behind it all, sitting in God’s favourite chair with a huge grin on his face.